Neck Injuries are painful, and debilitating. That’s a fact. It’s easy to not notice how often you use your neck when it isn’t injured, but when it is, everyday movements and functions become difficult and quite painful. And all of these pains and injuries were caused by someone else and their negligence. Your pain and suffering aren’t going away, you need a solution. What can you do? Who should you turn to for help? 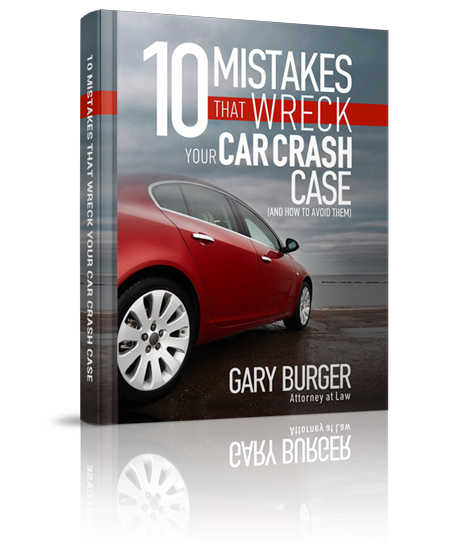 Your case will require a serious and experienced personal injury law firm, and Burger Law should be your first choice. Our Personal Injury Lawyers in Nashville are the most reviewed and highest reviewed in the Nashville area, and we always fight for the full recovery of our clients, not 50% not 75%, 100%. Every time. To start your path to recovery and to get the compensation you are owed, call or contact our team at 314-542-2222 for Missouri, or 618-272-2222 for Illinois. Our team never charges any fees for our consultations, and we won’t require any attorneys fees from you unless we win your neck injury claim. There are multiple types of neck and back injuries, and all are quite serious. Your neck area is one of the most vital areas of your body, and when it’s injured you can be in a constant state of pain. So what are the different types of neck injuries How do they happen? What injuries do we see most often? Listed below are the different areas of the neck and the descriptions of the types of pain and discomfort that arise from those areas. Our necks and backs consist of bones, nerves, muscles, ligaments, and tendons. Our spine is the main support column for the back and has several different areas: the cervical spine, thoracic spine, lumbar spine, sacrum (or sacral region) and the coccyx (or tailbone). The spine is also the main message highway in the body, and takes all of the nerve input from across the body. Any injury to the spine is often severe, and can have extremely detrimental effects to the rest of the body. Cervical Spine – This portion of the spine consists of the cervical discs and the cervical vertebrae. This area gives your head its range of motion while also supporting your head. The cervical discs, composed of collagen and ligaments, carry the bulk of the workload by acting as shock absorbers between the cervical vertebrae, holding the vertebrae together and allowing for the movement of the neck. This area of the spine also provides the path for blood flow to the brain. When you hear about C1, C2, C3, C4, C5, C6, and C7, you are hearing about the area known as the cervical spine. Thoracic Spine – The thoracic spine consists of twelve vertebrae that hold the body upright and, combined with our rib cages, protects the vital organs located in the chest. The discs here aren’t as large as the cervical ones, which only gives us a limited range of movement. The spinal canal is at its smallest in this area of the back, making the spinal cord more vulnerable to damage if the thoracic spine is injured. The vertebrae T1, T2, T3, T4, T5, T6, T7, T8, T9, T10, T11, and T12 are positioned in this area of the spine. When the spine is injured in this area, it can affect several different areas of your lower body. This area of the spine is also most prone to disc herniation and spondylolisthesis. A herniated disc occurs when the gel-like inner core of the intervertebral disc leaks out and puts direct pressure on the nerves that run through the spine, also referred to as nerve impingement. Spondylolisthesis occurs when a vertebra slips over the one below it causing compression on the nerve root. Your healing needs to be your #1 priority. Our Personal Injury Lawyers in Nashville can get you the care you need and deserve. They’ve taken on neck, back and spinal cord injuries claims before, and they always fight for the full and complete recovery of every client.